When it comes to split board (or ski) mountaineering, there is nowhere else I’d rather be when April and May roll around then the Tetons. Sure, there are many quintessential places to sharpen your teeth, but I’m totally enamored by the nooks and crannies my backyard offers every spring. 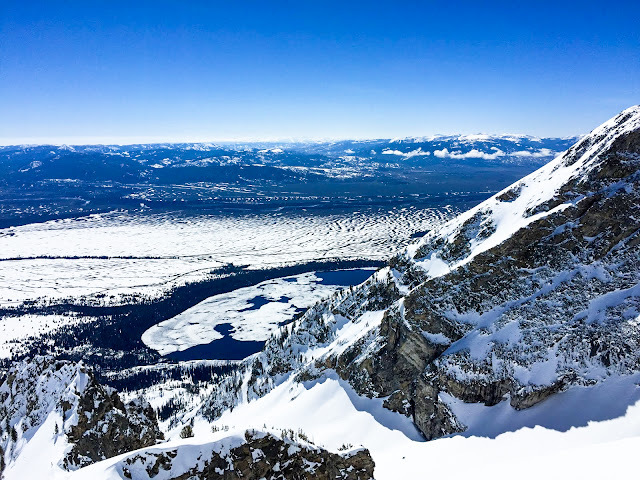 While the valley below is thawing out, the Tetons rise between 10-13,000 feet and hold snow well into June during a heavy winter season. It's the perfect time to harvest corn and explore the deeper reaches of the range while many have tired of skiing. Sunrise. Mt Saint John front and center with Rockchuck Peak and Mt Moran to the right. 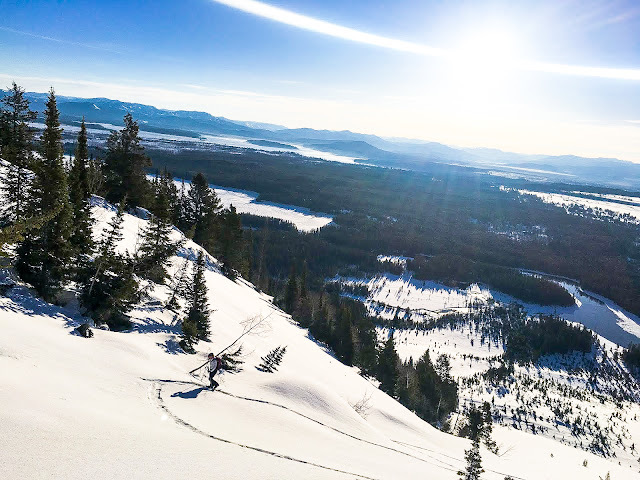 After a late season storm last week, which dropped a few feet of new snow in the range, I’d been patiently waiting for conditions to cooperate with a sunny day. Knowing the new snow would potentially add some instability and sluffing higher up, I wanted a good freeze and clear weather to go explore. The day it arrived just so happened to line up perfectly with a good partner who was game to poke around and get in some spring turns. After discussing a few options, we decided on Rockchuck Peak, a place my partner had yet to discover and one of my all-time favorites. Rockchuck, a mostly overlooked but aesthetic peak just south of the more imposing Mt. Moran has become a go to once the park road opens. 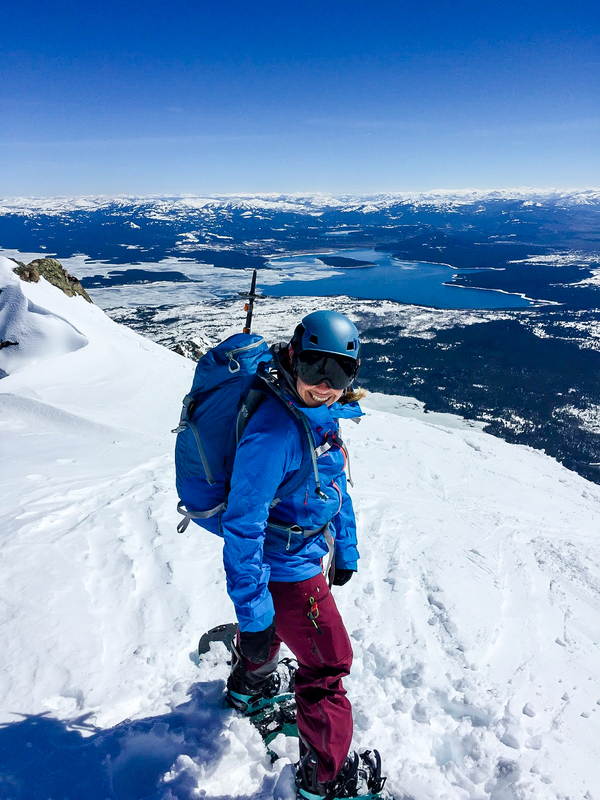 The approach is short and there’s plenty of variety to keep you on your toes while getting a solid ascent up the east face. Topping out at 11,145, it’s a fun and long ski or snowboard back to the base and a perfect place to scout the deeper reaches of Paintbrush Canyon. We got an early start to maximize our time before the heat of the day threaten wet slides. 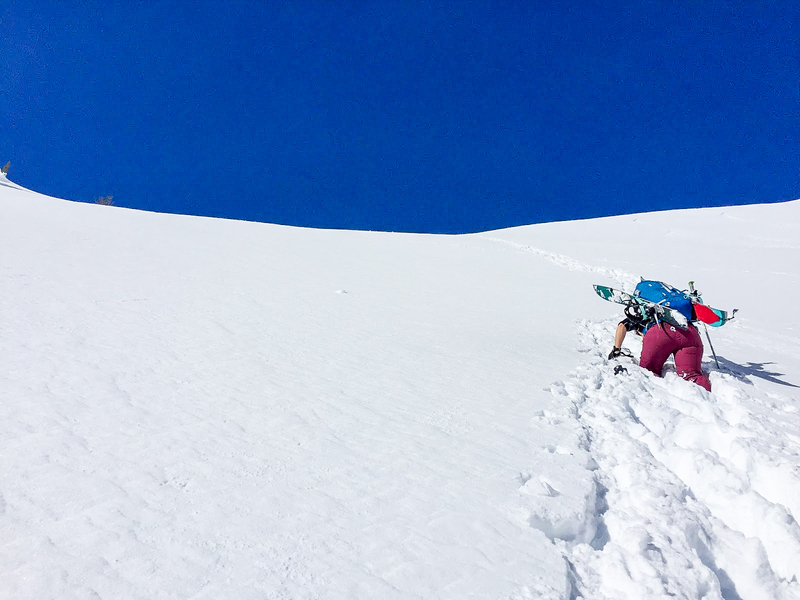 With splitboard crampons as a staple for this time of year, we made good time to the main basin of the peak below the summit. I've had the misfortune to attempt spring mountaineering in the past without ski crampons and let me just say they are worth the investment. What would have been three plus hours of suffering and sliding down an icy slope, became an easy hour of uphill travel knowing every step would stick. Stopping shortly in the main basin for some power food consumption, we readied ourselves to boot up the steeper headwall of northeast ridge on our way towards the summit. Although up until that point the snow had been pretty rock solid, we found soft and bottomless snow on this aspect which made the boot pack a bit of a wallow. Still in good spirits we charged up the face to the ridge, where we threw our boards and skis back on for the final pitch before the summit. Topping out by 10:45, we took some photos of the surrounding lines and switched over for a fun and interesting descent. There was a suncrust on the ridge from the day before and the main chute on the east face had a bit of funky snow conditions up top and debris on the exit. Committing to the chute, we had some fun and sporty turns down the direct east face before cutting back to the lower northeast ridge. Just like on the ascent, the snow was dry, light and cold, throwing up face shots as I giggled down the pitch. we followed the fall line through the boulder field, which rides like a mini playground and down the left flank of the ascent gully to the lake, grinning and laughing the whole way. By noon we were back at the car ready for bike rides as the temperature in valley climbed towards 50 degrees. A perfect spring day in the mountains of Wyoming.